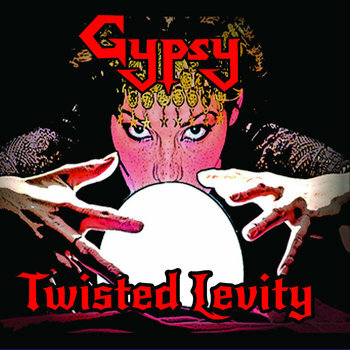 It's been a while since I've gotten to cover some pure hard rock on this site, so the bouncy rhythms and catchy attack of Gypsy provides a welcome respite to the rest of the extreme metal madness that has been dominating this blog lately. With high pitched vocals soaring over top of tight and crunchy guitar riffs you immediately get a sense that Gypsy love o honor their musical ancestors. These songs are tight and fun to listen too, the sort of thing that captures the imagination with flashy solos and a rhythm section that pounds its way into oblivion. There is a healthy dose of Dokken in the sound which is remarkable given that most of the Indian bands I've been exposed too tend to shy away from that kind of thing. At the end of the day though the song remains the same, Gypsy are just another batch of music loving hard working kids who deserve your ear. If you want precise riffs with a bite accompanied with a fun falsetto then you have found your band Gypsy are just starting to make their mark, and from here on out it seems like the future is only going to get brighter.